I love seeing these posts pop up every once in awhile - esp for people who post to Instagram a lot more than I do! 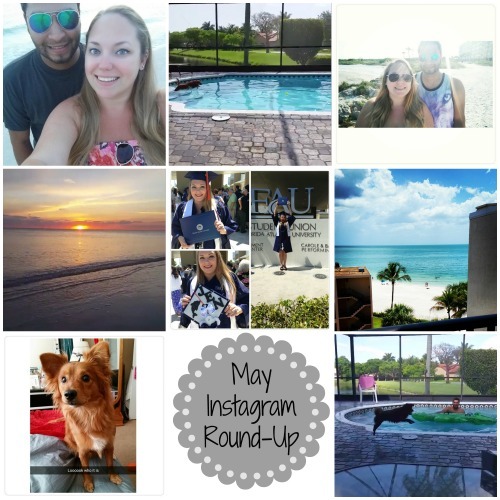 But May seemed to be a month where a lot of exciting stuff happened so I guess I instagrammed a little more than I thought I did! Most of these pictures are of my fiance or my dog - because this is my little lion pride and they are the central focus in my life. I also spent quite a few days at the beach this month and therefore have a few (pretty awesome) beach pictures. Three of these are actually screenshots from the videos that I took so you should totally watch the videos on my instagram. I promise most of them are funny (and of the dog jumping in the pool).